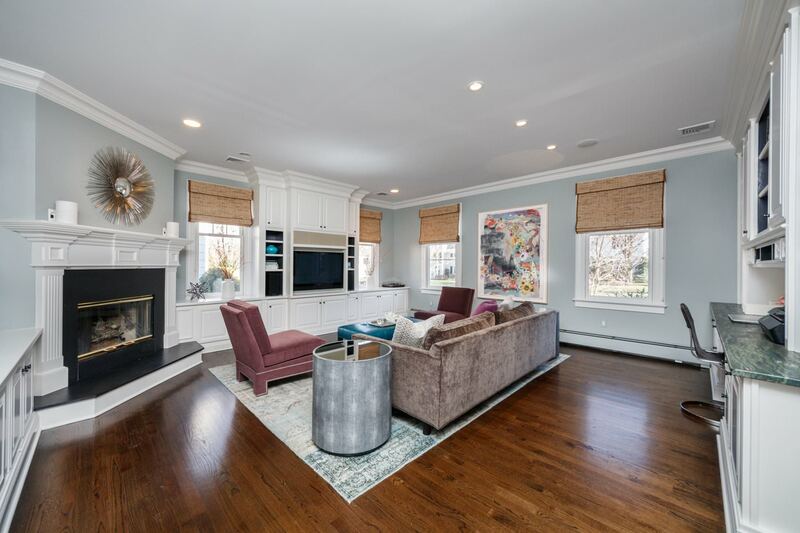 Spectacularly renovated 4 Bedroom, 2 and ½ Bath Colonial on one of Summit’s most amazing blocks (great block parties and trick or treating!). 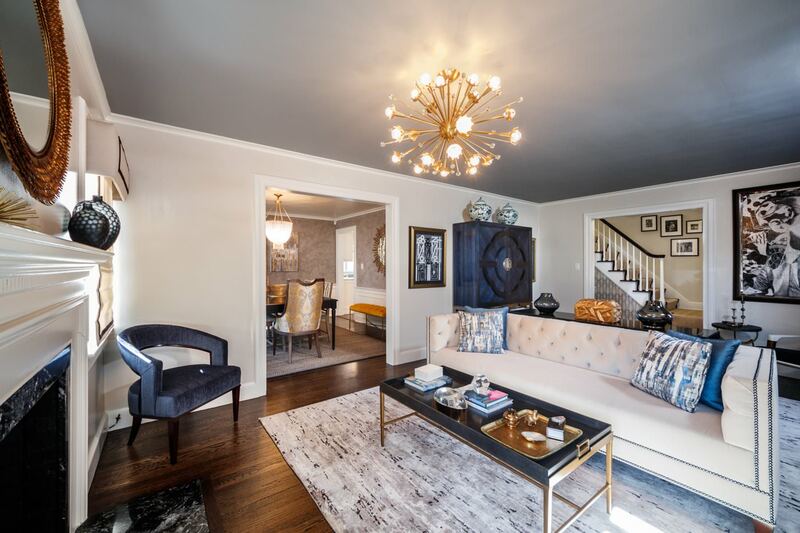 Remarkable craftsmanship at every turn with premium designer décor throughout by renowned decorator Valerie Grant Interiors – featured on Summit’s Calvary House Tour in 2015! Fantastic flow, dream Chef’s Kitchen by Orchard Hills Construction, custom cabinetry, top of the line stainless steel appliances, marble countertops and custom built-in banquette, fabulous Family Room with fireplace and custom built-ins throughout, elegant Living Room with fireplace, Formal Dining Room with Venetian plastered walls, outstanding renovated Master Suite, custom window treatments and high end designer light fixtures throughout, finished Lower Level, easy access with gated driveway off Ashland Road. 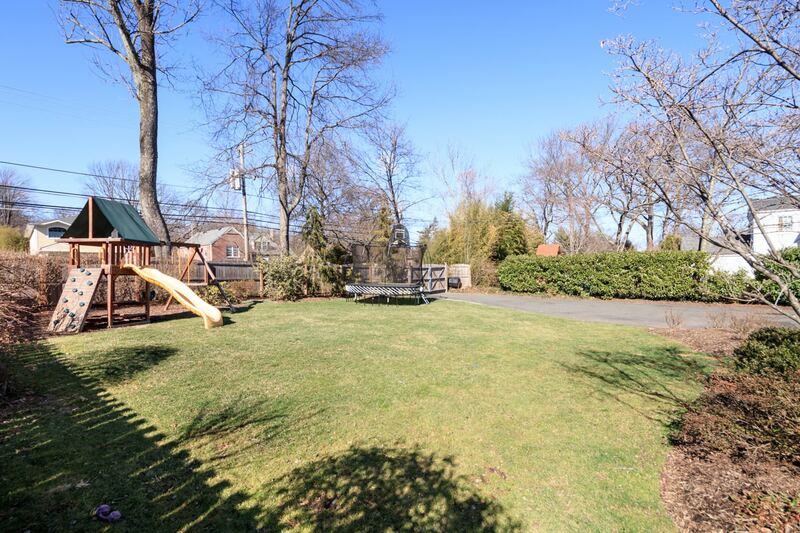 With its superior design, vicinity to New York City, proximity to Midtown Direct train, sought after schools (Brayton Elementary District) and convenience to fantastic downtown Summit, 21 Plymouth is exceptional in every way! 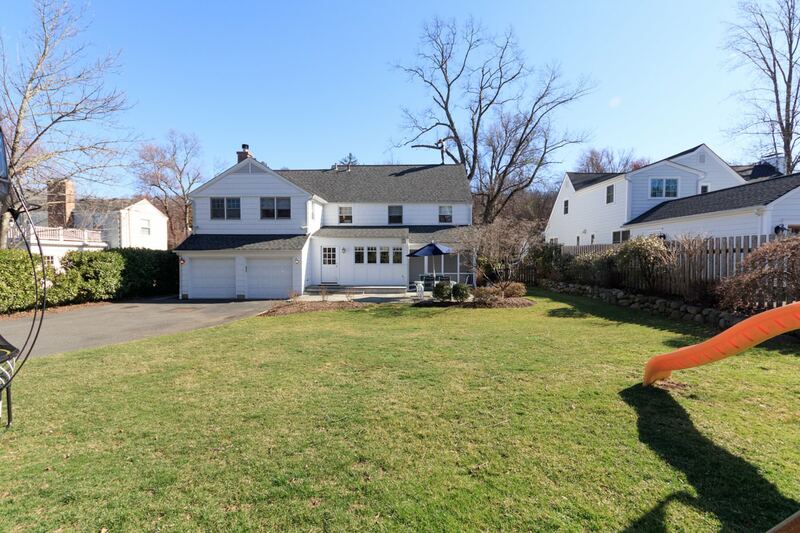 Welcome to 21 Plymouth Road, a spectacular 4 Bedroom 2 and ½ Bath Colonial on one of Summit’s most coveted blocks! 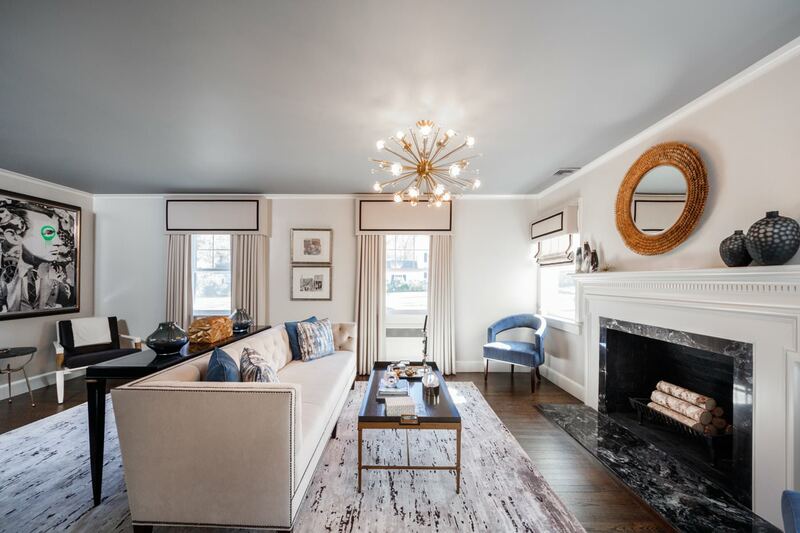 No expense has been spared on the extraordinary renovations to this home, designed throughout out by renowned decorator Valerie Grant Interiors. This is a rare opportunity to own a home with distinct high-end craftsmanship mixed with every modern amenity imaginable. 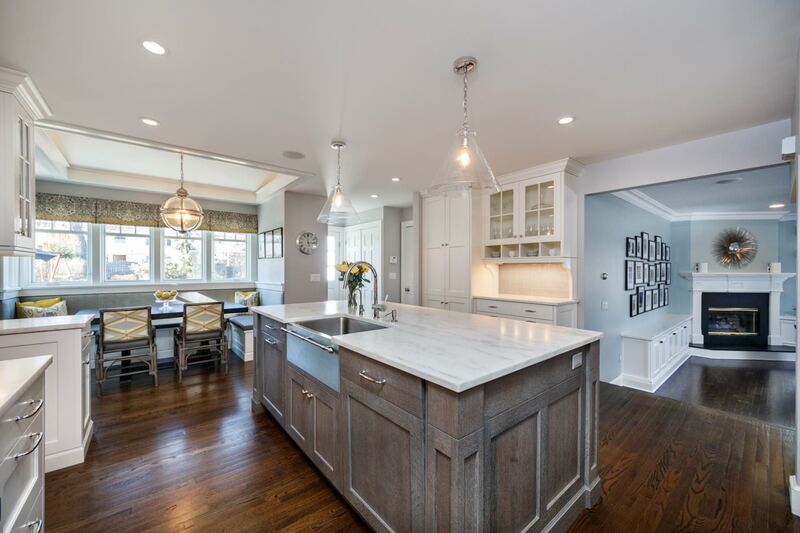 Whether it’s the dazzling Kitchen, Family Room or Master Bedroom renovations, soothing paint colors or custom designer touches, 21 Plymouth is astonishing at every turn. Drive up to 21 Plymouth Road and you know you have reached somewhere incredibly special. 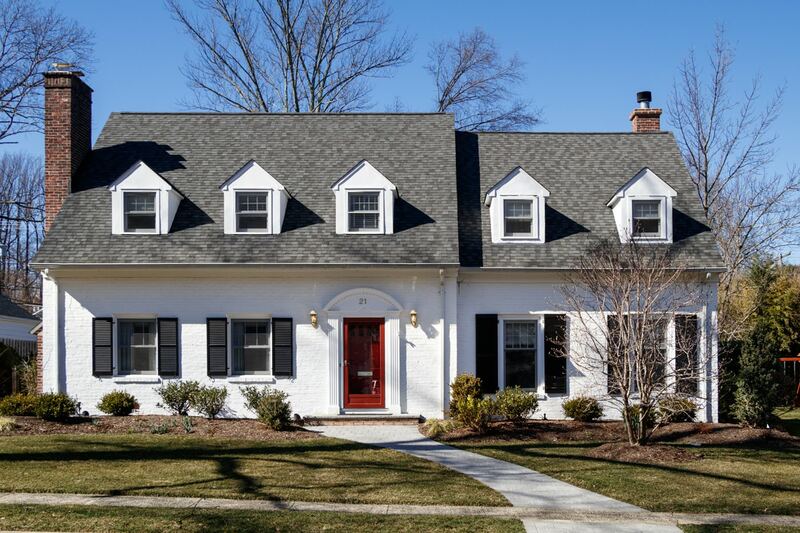 Curb appeal abounds with crisp, manicured landscaping, curved walkway, a lush green lawn, classic clapboard siding, charming black shutters and a welcoming red front door. 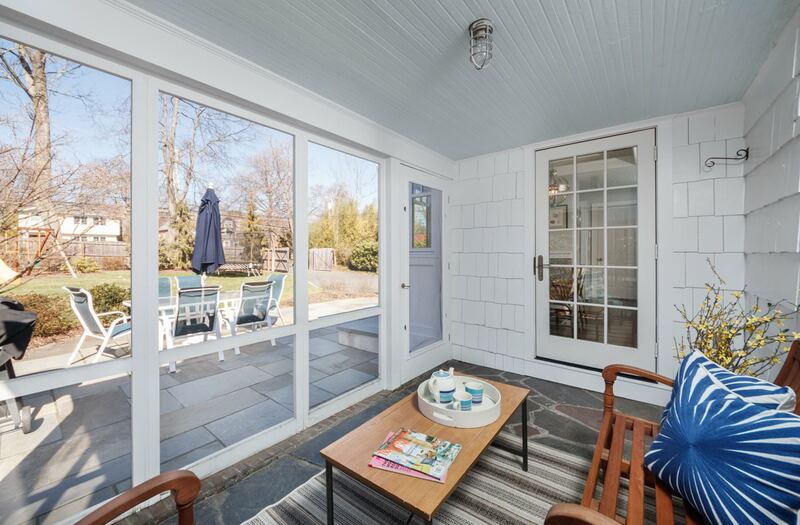 Enter into the bright Entry Foyer and become transfixed by all this house has to offer. 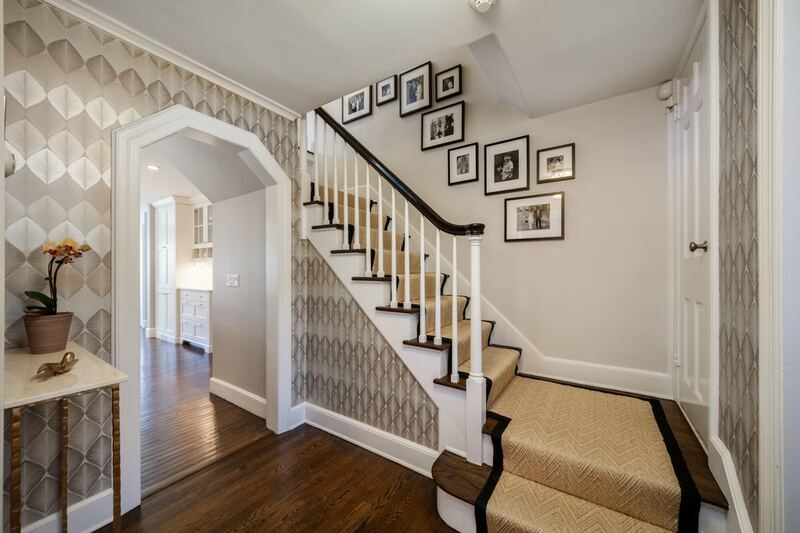 The sophisticated Entry Foyer features hardwood floors, luxurious wallpaper and classic light fixtures. 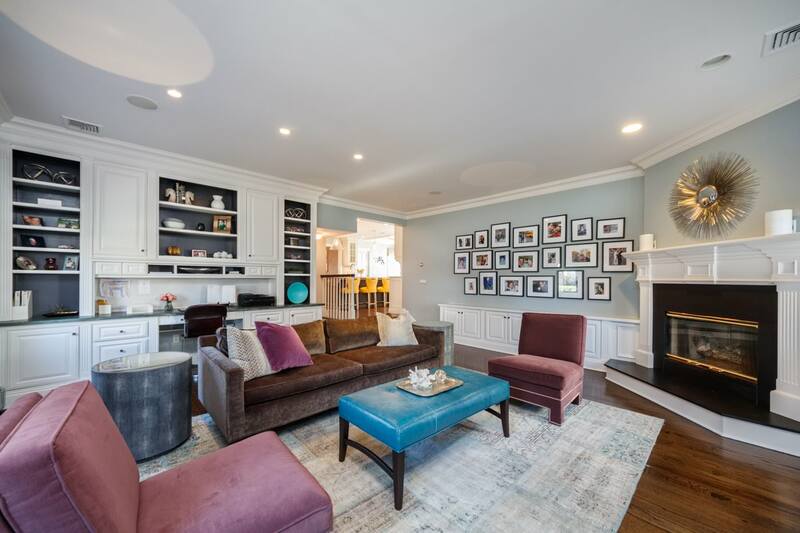 Move into the elegant, sun-drenched Living Room gracefully adorned with soothing paint colors, traditional statement fireplace, ample windows with custom window treatments and designer starburst light fixture. 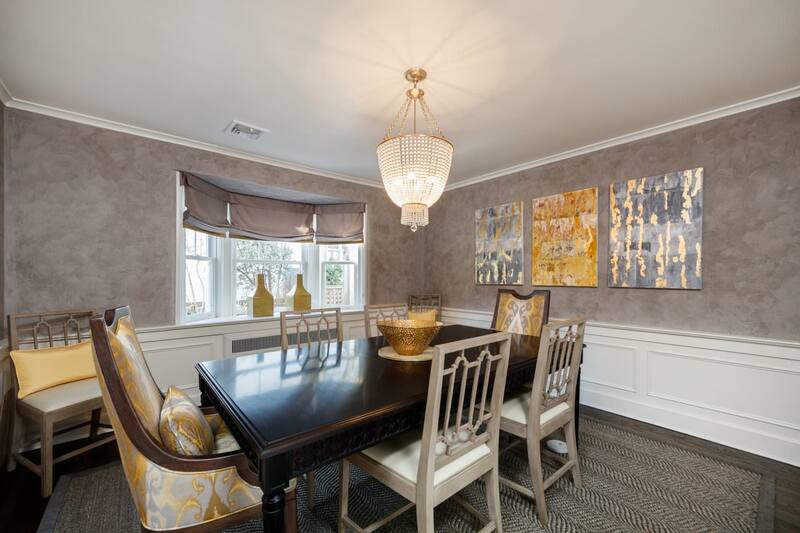 Proceed into the nearby formal Dining Room with beautiful grey Venetian plaster walls, bay window and pendant crystal chandelier. Flow from the Dining Room into the Gourmet Kitchen that will satisfy every chef’s desire. 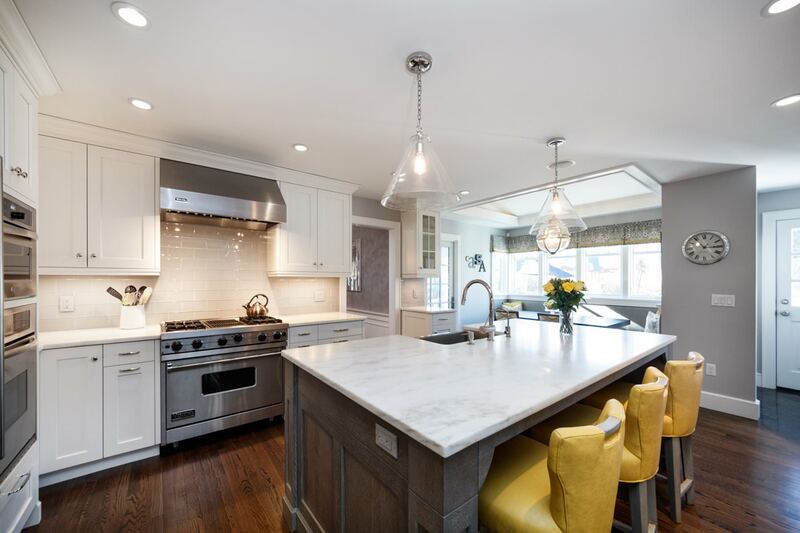 Custom, crisp white cabinetry, an abundantly sized island, Vermont Danby marble countertops and high-end stainless steel appliances are the best in form and function. 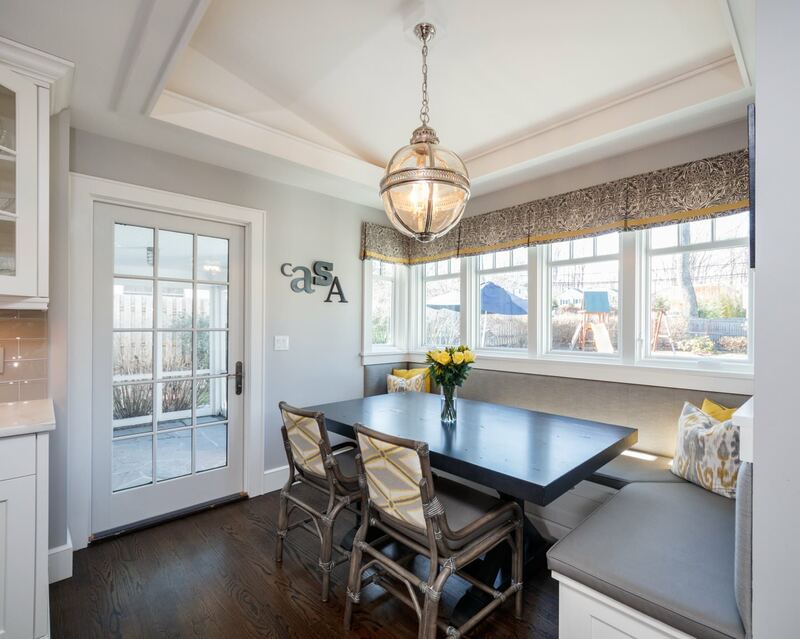 Breakfast is served in the light-filled adjacent Breakfast Area with a stunning built-in banquette and copious windows with a breathtaking view of the lovely backyard. 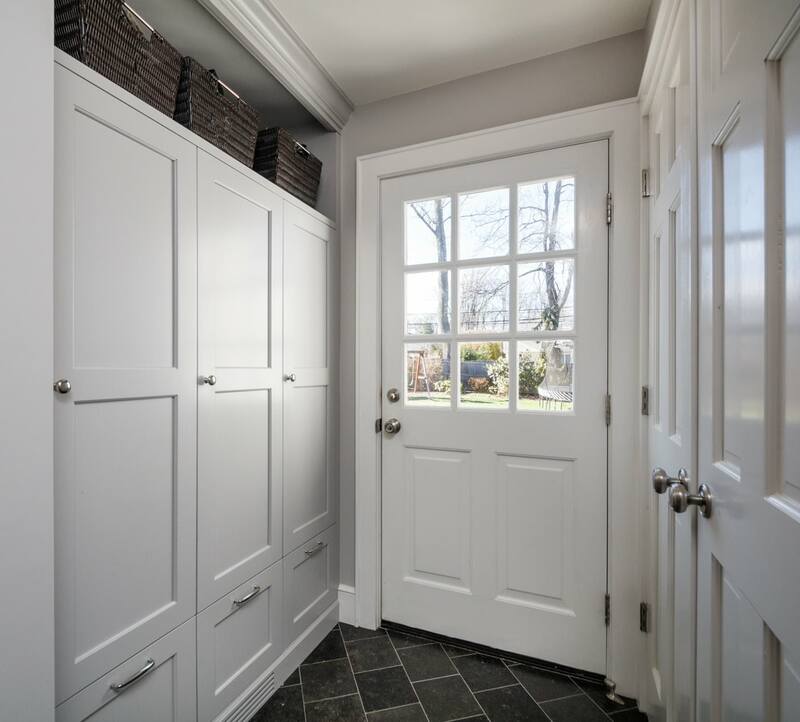 Not a thing will be out of place in the nearby Mud Room complete with custom cabinetry, Coat Closet and honed Belgian bluestone flooring. 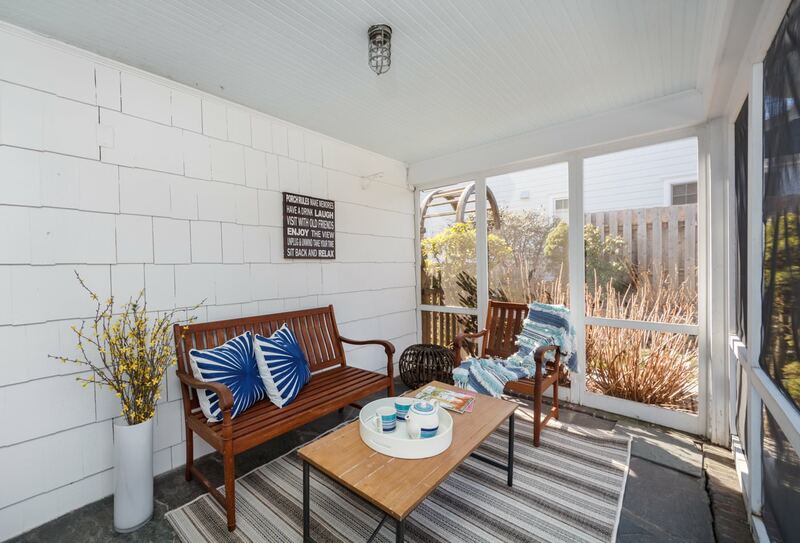 Accessed from the Breakfast Area, relax in the 3-season Sun Porch that flows easily from inside. This tranquil and breezy space, with bluestone flooring and beadboard ceiling, exudes relaxation and is well suited for an al fresco dinner party or simply sipping cocktails with friends. 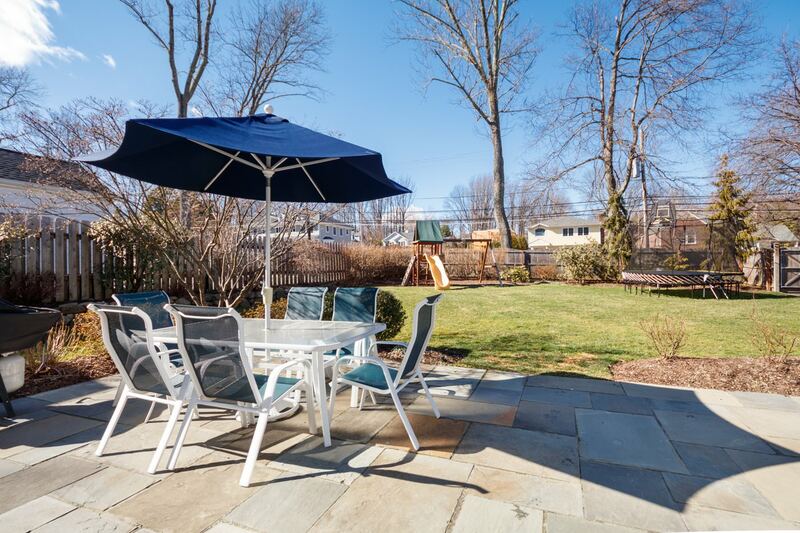 Just beyond the porch, enjoy complete privacy in the meticulously landscaped flat yard featuring a charming bluestone patio and blooming perennials. 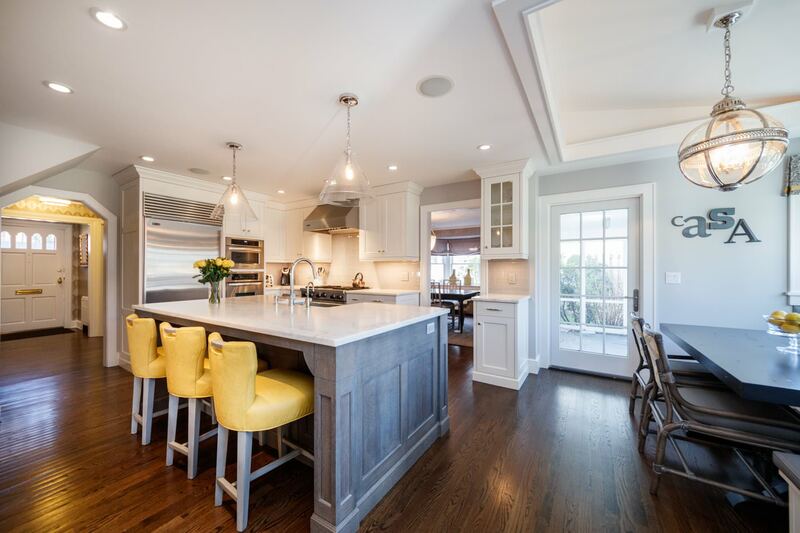 Beyond the Kitchen, you are sure to be impressed by the magnificent Family Room. 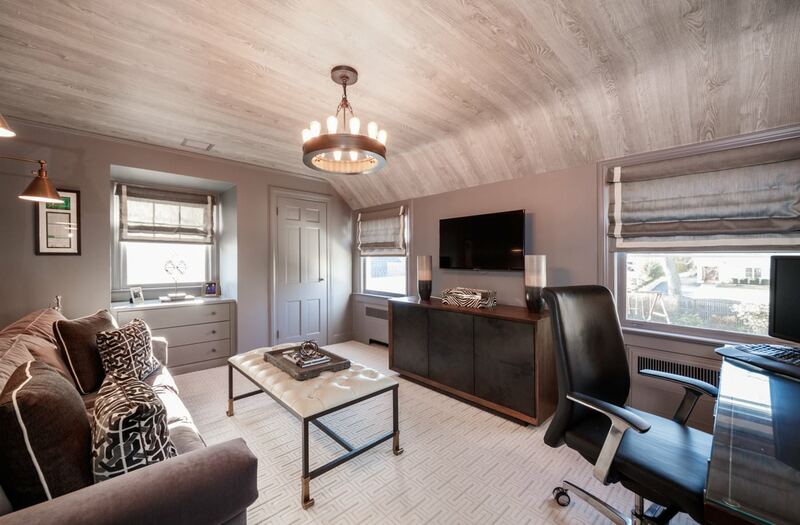 Bathed in sunlight, the Family Room is nothing less than a work of art with its statement fireplace, custom built-ins and custom desk area, with ample storage and workspace. This room is well suited for family game night, movie watching or cozy nights by the fire. A tasteful Powder Room rounds out the first level. When it’s time to retire for the evening, a stately staircase with custom sisal runner leads you to a second floor Landing serving also as a luxurious Library. 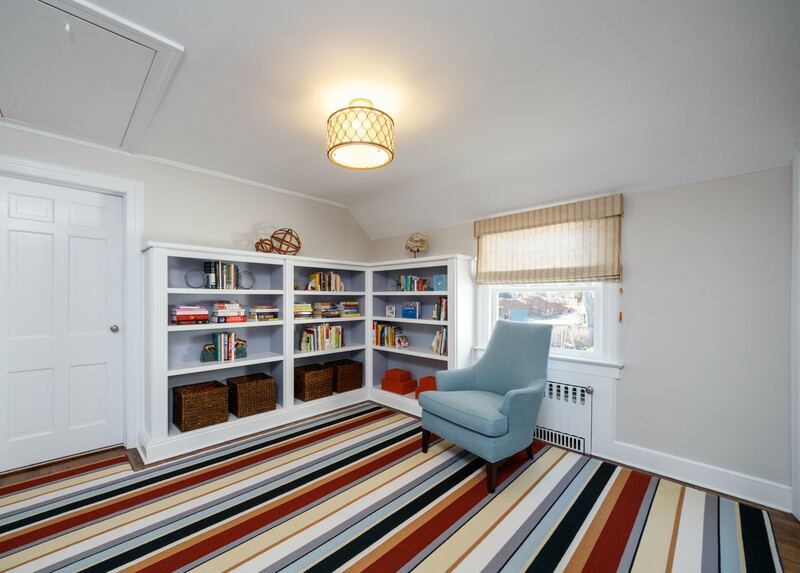 This space, with custom built-ins for plenty of book storage, is the perfect spot to curl up with your favorite novel. 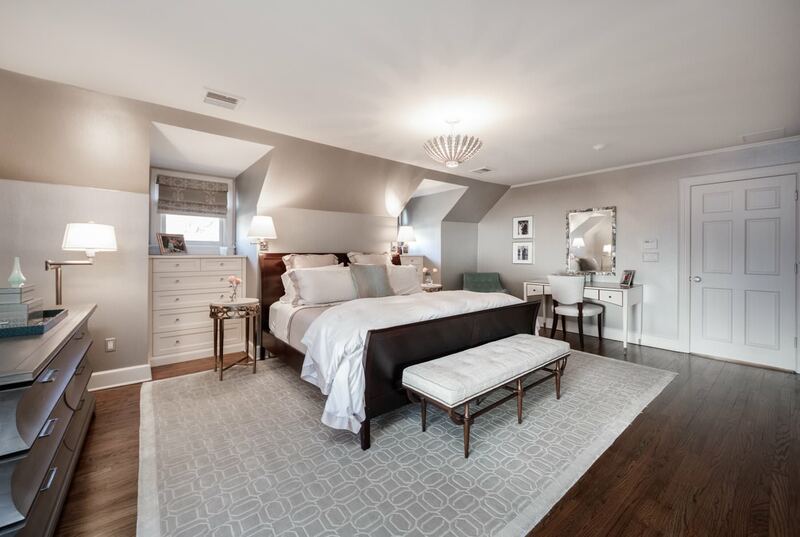 Luxury abounds in the private and open Master Bedroom with soothing grey walls, custom built-in dressers, distinctive designer light fixture and custom window treatments. The suite is functionally designed with 3 generous closets (1 Walk-In). 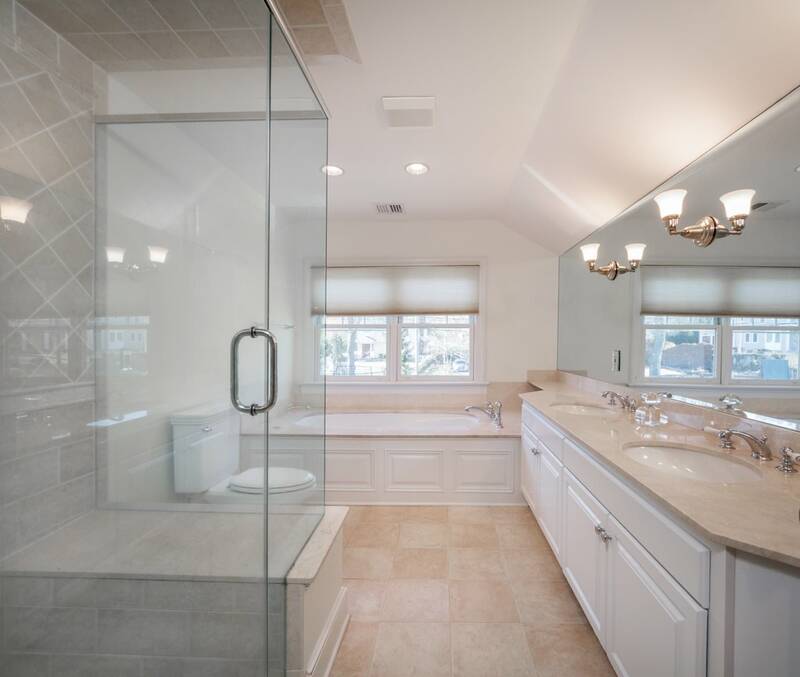 Enjoy a soak in the tub in the en suite spa-like Master Bathroom complete with custom double vanity, luxurious shower with frameless glass doors and marble throughout. The Second Level gets better and better with 3 additional bedrooms, each with designer touches at every turn. Wallpaper accents, custom built-ins and sleek paint colors make each bedroom its own unique oasis. 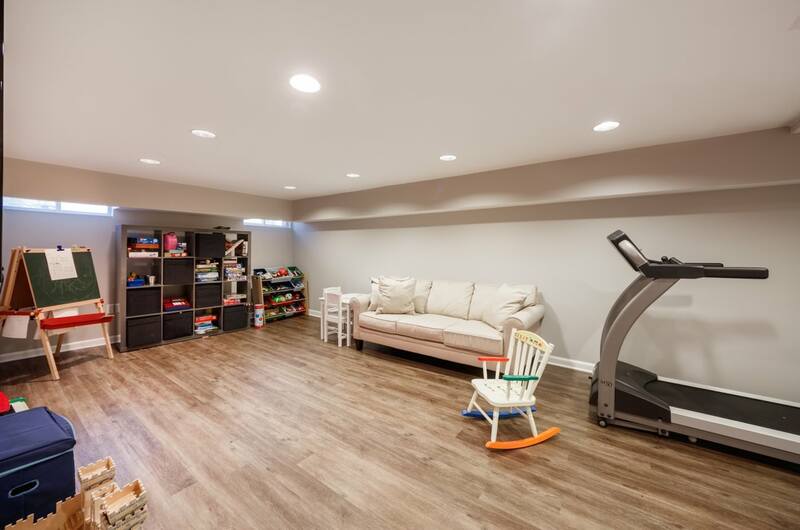 And there’s more … The Lower Level, with a fantastic Recreation Room, will provide endless hours of family entertainment. 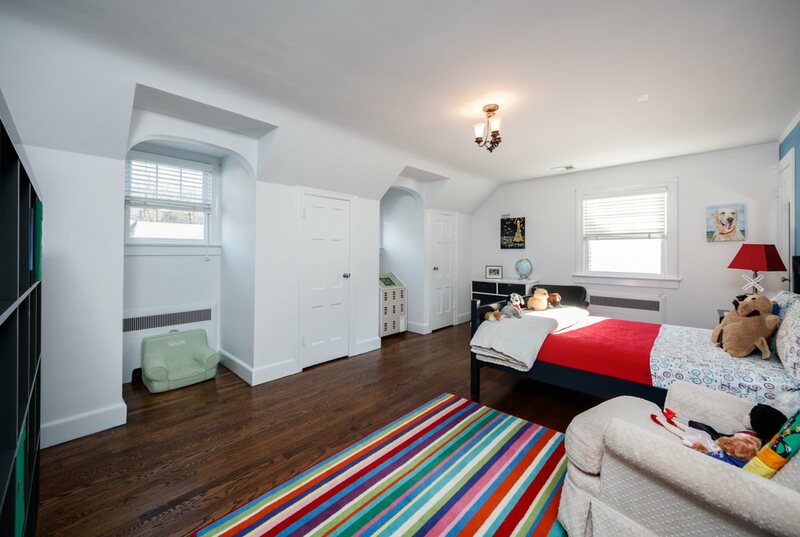 Equipped with plenty of room for movie watching, children’s art studio, and plenty of storage closets so that all toys and games will be neatly tucked away, the Lower Level provides all the space you need for any pursuit. A large Laundry Room, with 2 additional closets, rounds out this level. 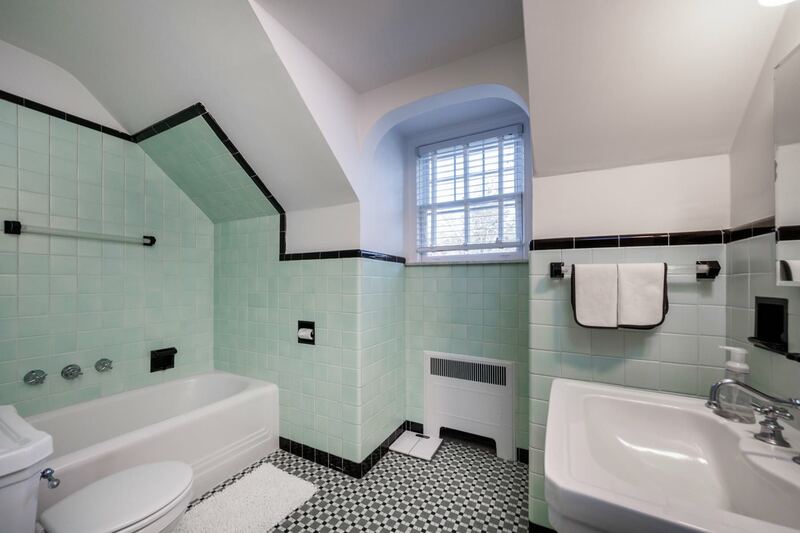 It is not very often that a house in such pristine condition, both inside and out, becomes available. 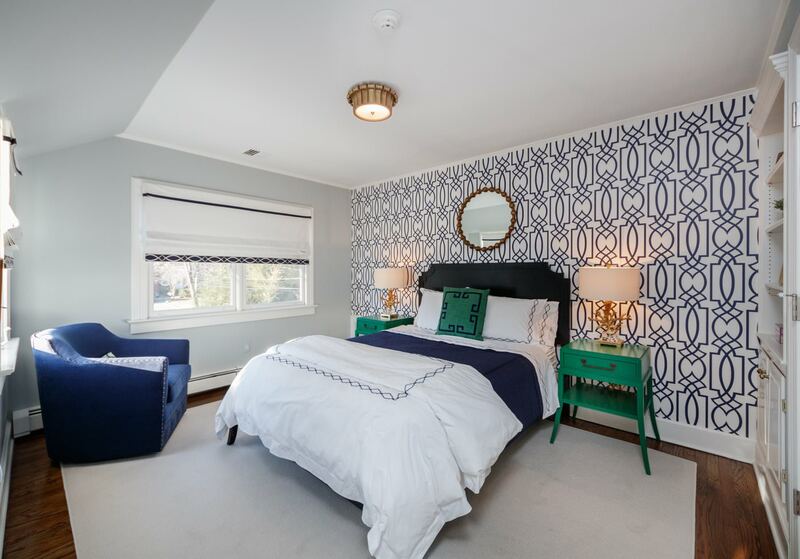 21 Plymouth Road is a dream home in every way. 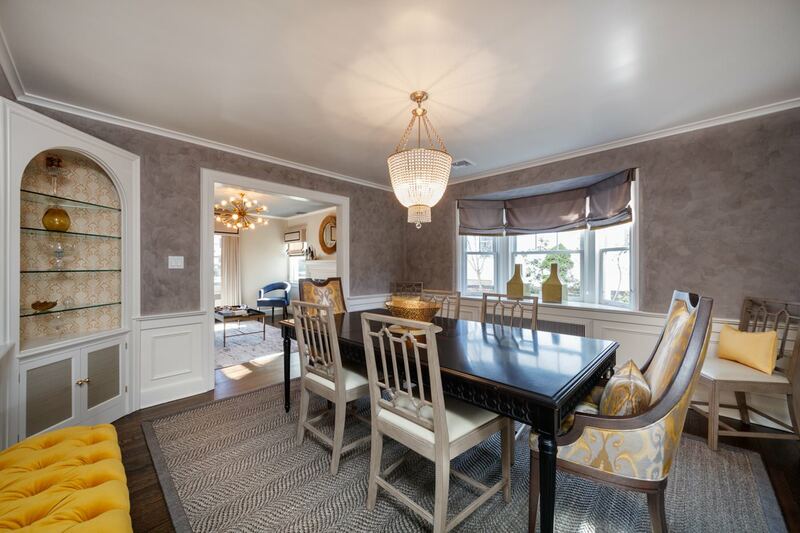 One of Summit’s best blocks, just minutes from top-notch schools, NYC transportation and downtown Summit, this home is the ultimate in class and sophistication and simply will not last!